Headed down to Charleston today! Was away from my new husband all weekend and he sent me this picture of my bedside table in Charleston saying he missed me. Being a newlywed is pretty great. 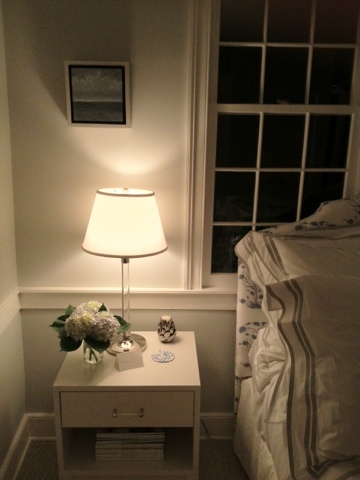 In the picture – sheets are Matouk headboard fabric is John Robshaw, bedside table is west elm, and lamp is stolen from my mother. More from Charleston tomorrow!